If you find using a standard mouse design a little awkward and would prefer to use something a little different, or have a number of monitors setup of CAD design or similar. The innovative and very unique RollerMouse designed by Contour Design might be worth more investigation. To use the Contour Design RollerMouse you roll the bar up, down and sideways to move the cursor and then use both hands to provide better variation and flexibility with the fully open rollerbar. Watch the video after the jump to learn more about the RollerMouse by Contour Design and see it in action. “RollerMouse Free2 is based on our ergonomic expertise and inspired by users creating a modern ergonomic design with ultra high precision and quality. 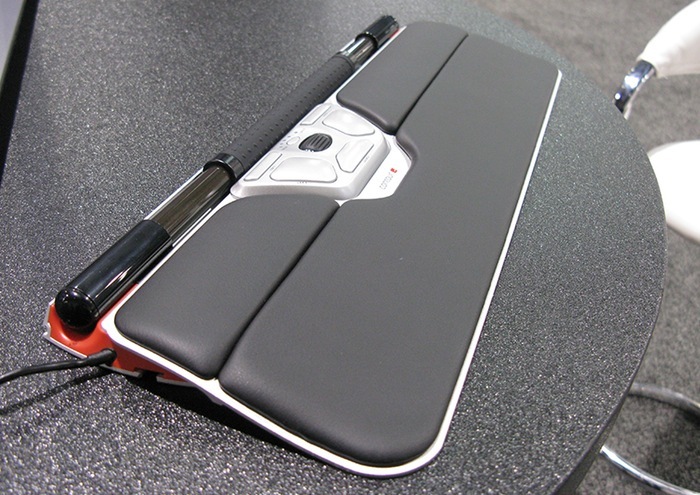 RollerMouse Free2 helps to eliminate reaching for a traditional mouse relieving neck, shoulder, elbow, and wrist pain. 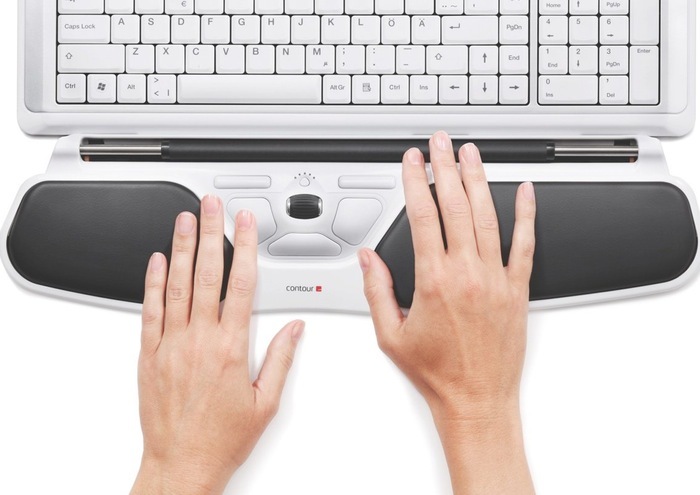 There is no gripping necessary, thus avoiding the threat of repetitive strain injuries such as Carpal Tunnel Syndrome and Tendonitis. The Contour Design RollerMouse is available to purchase for $240 and more information is available from the Contour Design website.